Prev Get This Actual, Real-World Look: Asian Eyes, Take Two Next Do I Really Really Need an Eye Cream? Hey! I have an idea! Now that summer is basically over, let’s talk about sunless tanners. So I deftly avoided the whole topic all summer, mostly because I hate sunless tanners. All of them. And I have tried all of them. (I may be exaggerating here, but seriously, I have tried an INSANE number of sunless tanners.) I hate the messy application, the waiting-for-it-to-dry part, the inevitable smears, the orange palms, the smell, and I particularly hate how much my husband complains about the smell. I found that mixing tanners in with body lotion solved a few of the problems, and then even sort-of liked a couple tanners that came pre-packaged with a body lotion in a fancy double-pump kind of thing, but still. I never found one that I liked enough to really stick with using faithfully. Well, newsflash, moron. Now everybody in the whole world makes a gradual sunless tanner and body lotion IN ONE. Maybe you should try them out. You know, for the people. It’s crazy, how many of these lotions are out there now. Dove, Aveeno, Jergens, Olay, Almay, EVERYBODY MAKES ONE. Nice! True to the product’s promise, after about 24 hours I noticed a definite golden tone to my skin — nothing outrageous and nothing orange-ish. I realized it was possible to still get streaks from this stuff (mostly on my feet and the extremely pasty underside of my arms), but I chalked that up to the fact that I was using the wrong shade for my skin. But after a few uses I also noticed that *smell. * Jason noticed it too. Still, I was pleased, and when the sample ran out I purchased a full-size bottle for light skin tones. Not nice. Day after day of application yielded little to no results. My skin looked the same, yet STUNK of self-tanner. After a full week I finally thought I saw a little color, but then I accidentally skipped a day and was immediately back at my natural whiteness. I went back to the store and stared at the wall of options, and somewhat randomly decided to go with . I like Aveeno body lotions, and since Curel doesn’t make a tanning version, I figured this one might actually moisturize enough for me to use it through winter. I also went with the one for medium skin tones. Nice! Nice nice nice! Love this one. The color shows up quickly but again, isn’t orange or fake-looking. It never really gets THAT dark, although a solid week of use will definitely give you a summer-level glow. I never had any streaking problems, and there’s no drying time needed. You can get dressed as soon as you normally do after moisturizing, and I never noticed any color transfer to my clothes — even white capris. The moisturizer is thick and long-lasting (still not Curel-winter-eczema awesome, but I think I could probably get away with using Curel in the morning and Aveeno at night) and the best part? ABSOLUTELY NO SELF-TANNER SMELL. Instead, it’s got a very light, generic lotion-y fragrance. 100% Husband Approved. One thing that seems to be true about all these lotions, however, is that unless your skin is truly alabaster, you probably want to go a shade darker than you think you need. And I wonder if the “medium-to-dark” color would work as well on someone who actually HAS a medium-to-dark skin tone. But for under $10 (most of the lotions are in the $6-$8 range), it’s probably a worthwhile thing to try, especially if you’re shelling out big money on high-end self-tanners in order to avoid all the complaints I mentioned before. Oh wait, it was the Olay one, not the Dove one, that I’ve tried. Actually I think your timing might be perfect… keep that ‘healthy glow’ all through winter, right? Thank you for mentioning the Aveeno stuff. I love their lotions and body wash… makes sense their self-tanner would be good. 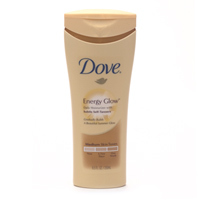 But I had also tried the dove tanner/lotion (the lighter skin tone one) and was less than impressed. I would have given up completely were it not for this article. I’m slightly optimistic that I won’t forever be pasty white girl or streaky-stinky orangey glow. Or leather tanned sun-damaged, obviously. Woohoo! 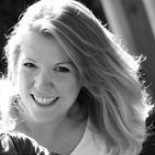 I bought the Dove sunless tanning lotion over the summer and I loved it. I actually had the opposite problem that you did, if I used too much at one time, or used it every day, it started looking really obvious. If I use it every day, the results are perfect. I didn’t notice any unusual smell, so maybe I got lucky? I tried Dove’s Energy Glow moisturizer for my face and that seemed to do diddly-squat. I tried the Dove when we went on a Mexican cruise in the middle of the winter and I had my pasty-white winter colour on. H-A-T-E the smell. I would put it on on days I wasn’t working only so I could shower it off before Darren came home, it smelled so bad. But definitely will try the Aveeno. I’ve never tried sunless tanners because the smell turned me off. 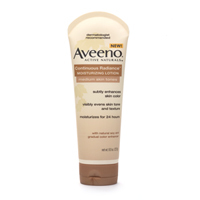 I have liked all the Aveeno products I’ve tried, so I may give that one a try. Thank you, Amy. I like the Jergens variety for my body, but this summer used Banana Boat for my face, because it’s SPF 15. I give up my “tan” for the winter. PS: September is “winter.” I’m done with tanning until April ’08. I’m very excited to hear that this stuff works well! But, Amy, I’m guessing you didn’t use it on your face, so how do you get your face to match? This is the question I’ve always struggled with when thinking about self-tanner. I don’t want a weird line where I stopped near my head, and I want my face to look the same as my body. Elissa – I use a pressed powder bronzer on my face. (There was a Price Tag Cage Match on them awhile back with my favorites.) Bronzer gives the same subtle glow as the lotion so it seems to make everything match pretty well. I believe Aveeno does make a version of tanning lotion for your face, but I’m a little chicken to try it for fear of hideous breakouts. I’ve tried both Jergens (no streaks, but nasty tanner smell) and Neutrogena Summer Glow, which I highly recommend. As an added benefit, it’s SPF 20. I just went out and bought the Aveeno the other day and I LOVE it. I think it has an ever so slight tanner smell, but the more lotiony smell it has makes it hardly noticeable, if at all. And totally no streaks! And I don’t even have to pre-moisturize my knees and ankles like I do with others. I am about to try the Dove Energy Glow for the first time. I’m hoping it works. I tried the Aveeno before but after about a week I developed a rash which was itchy and returned each time I used the product. I don’t recommend the Aveeno if you have sensitive skin.